Do you know that you are highly favored in God’s eyes? As one of his treasured children, can you feel His favor on your life in spite of the unfavorable situation you may be currently experiencing? Maybe you are not even 100 percent sure as to the real meaning of the word ‘favor’, especially when it seems as though God has totally forgotten you on those days when you need Him most. In the New Pocket Oxford Dictionary the noun ‘favor’ is defined as meaning: approval or liking, an act of kindness beyond what is due or usual, special treatment given to one person at the expense of another. The verb ‘favor’ means: to regard or treat with favour. 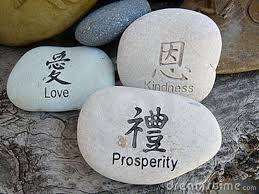 Other words which also mean favor include (but are not limited to): grace, esteem, goodwill, kindness, partiality, incline towards, and select. But God’s amazing favor is not limited to these generic definitions because we know that He doesn’t only approve of or like us in any ordinary way; He takes it all to an entirely different level by showering us with an abundance of unconditional love and super special treatment, so much so that it spills over to touch others. There is no human way of successfully measuring the extent of God’s grace or kindness as He favors us in the midst of the unfavorable. Tweet this! 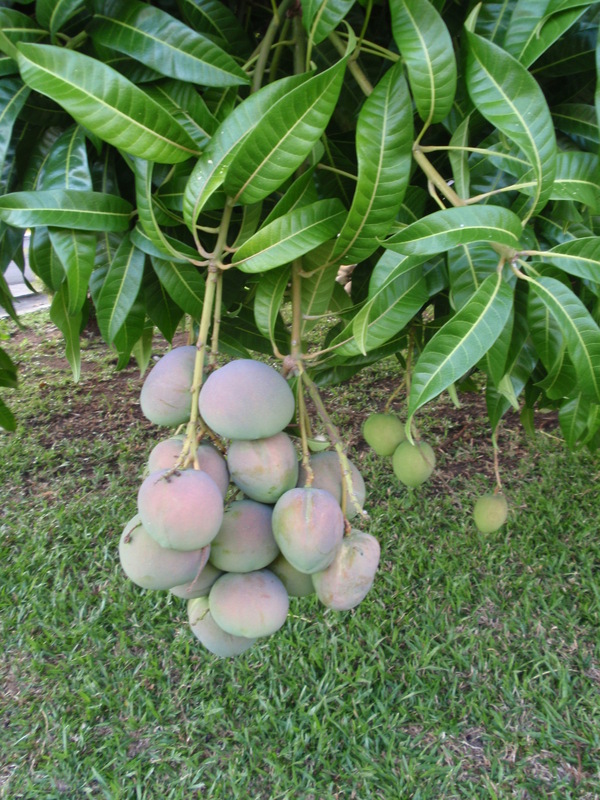 Just as this mango tree in St. Vincent is about to prosperously bear lots of fruit, so will we be prosperous in bearing God’s fruit. When God favors you, nothing else matters. Tweet this! When He is with you and you are with Him, everything else becomes irrelevant – because you are going to prosper anyway. Joseph was sold into slavery by his own brothers and by most standards this would have been a terribly unfavorable situation to say the least. I am sure poor Joseph was ‘greatly troubled’ and wondered what in the world would become of him now. But as the bible tells us God didn’t leave Joseph all alone in Egypt. He was Him, and Joseph didn’t only prosper but also found favor in his master’s eyes and the blessing of the Lord was on everything. Standby to prosper – big time! Just like Mary and Joseph, so are we highly favored and by extension prosperously blessed by the One who loves us beyond human measure. Today I encourage you to thank God for His favor on you and your life, and for blessing you abundantly (on the inside and on the outside) even as you in turn share His wonderful blessings with others. Categories: Daily living tips, Devotional | Tags: faith, God's favor, grace of God, love, prosperity | Permalink. 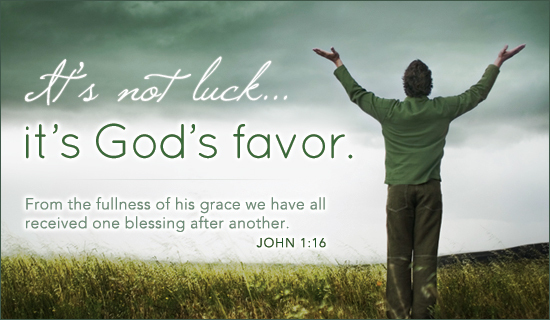 A reminder as well as a note of encouragement … because you are indeed highly favored in 2014 and beyond! And let the people all say “amen”! Thanks for stopping by and may God bless you always.